Named the 2016 Danish Talent of the Year, he spent the majority of his young senior career with Ajax in the forward position. He joined the Denmark national team in 2016. He trained as part of theSilkeborg-Voel KFUM, Silkeborg IF and Ajax youth systems. He was a part of the U-16, 17, 19 and 21 Denmark clubs. 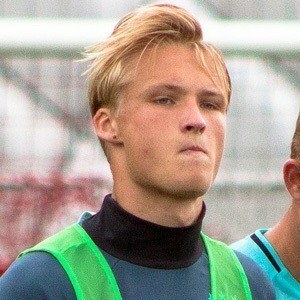 He was born Kasper Dolberg Rasmussen in Silkeborg, Denmark. He played for the Denmark national team that was captained by Simon Kjaer.